Capsicum annuum or cayenne pepper is also known as American or African pepper, chili pepper, red pepper or bird pepper. Cayenne is the hottest form of Capsicum, where paprika is the milder form. 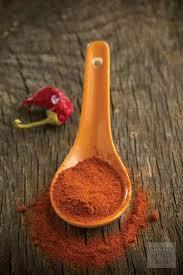 Cayenne pepper is used as the catalyst, or carrier in almost every herbal combination. 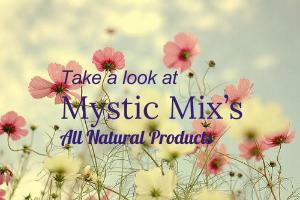 It aids in the absorption and therefore increases the effectiveness of the herbal combinations. Capsicum aids in the production of hydrochloric acid in the stomach which enhances the bodies ability to digest liquids and solids preventing indigestion, constipation, heartburn and ulcers. This amazing herb heals ulcers, fights infection, regulates blood pressure and not only stops hemorrhaging, but also prevents it. People who live in a humid rainforest environment consume a lot of cayenne pepper, as this herb causes them to perspire. Perspiration is the bodies natural cooling mechanism and humans have been aware of this for millions of years. Capsicums deep red color is due to its high vitamin A content. Vitamin A is essential for healthy cellular activity, a strong immune system, good vision and healthy reproductive organs. Cayenne pepper is food for the heart! It cleans out the arteries, capillaries, veins and blood, which then lowers cholesterol preventing high blood pressure, heart disease, heart attacks and strokes. Capsicum increases the heart action without raising the blood pressure, unlike pharmaceuticals. Cayenne is a fantastic herb to use for weight loss as it increases digestion, therefore causing better assimilation and break down of foods. This multi purpose herb also breaks down fat in the liver making it a wise choice for healing the liver. In a first aid kit cayenne pepper is indispensable. You can use it directly on a wound to stop the bleeding or give internally for the same effect. Place this herb in powder or tincture form under the tongue to prevent and stop shock as well as hypothermia. Capsicum warms the body slowly from the inside out so the heart is never at risk. You can also sprinkle some cayenne powder in your socks to prevent frostbite! Cayenne has also been used as a remedy for headaches by taking it internally as well as lathering it on the back of the neck. In doing this the blood gets drawn down from the head relieving a lot of the pain.